Nesta is a global innovation foundation that backs new ideas that tackle the big challenges of our time. Nesta seeks out, sparks and shapes powerful ideas, joining with others to take on the big challenges and shift how the world works. Nesta are experts in methods for innovation, applying these methods in priority fields with big challenges where capacities are suited to the needed action: health, education, government innovation, the creative economy, arts and culture and innovation policy. In partnership with the UK Government’s Office for Civil Society, Nesta have backed projects that seek to mobilise the time and talents of people 50+ through social action alongside public services in new ways. From high-commitment volunteering models, to scaling and developing the evidence base around high-impact social action models, Nesta have supported organisations seeking to benefit from this growing resource. Some encore aligned programs launched by Nesta are described below. Children and young people: People aged 50+ supporting and encouraging children and young people to succeed and find employment through social action. Parents and families: People aged 50+ supporting parents and families to nurture and encourage children and young people to be healthy and succeed. Ageing well: People aged 50+ supporting older people to age well. Resourceful and resilient places: People aged 50+ supporting resourceful and resilient neighbourhoods. The Give More Get More fund supports organisations to develop and test intensive volunteering placements for people approaching or in retirement, that work alongside public services. The Give More Get More Fund is a partnership between Nesta and the Office for Civil Society. It supports organisations to develop and test intensive volunteering placements for people during, or as they approach, retirement, that create clear impact alongside public services. For example, a hospital that can offer placements for three months for people to radically improve patients’ well-being and outcomes, or a charity who can create intensive placements for people in schools to improve literacy and attainment. 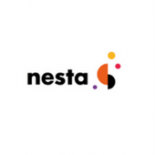 Nesta provides financial and non-financial support to around five organisations or partnerships, based in England. 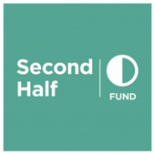 Successful applicants receive financial support of up to £100,000 and significant non-financial support to develop and prototype their ideas, before running the placements. Nesta works with organisations to develop and pilot their ideas. This involved at least 100 people carrying out at least 150 hours of high impact volunteering each (e.g. full time over a two-three month period, or three days a week over a four month period). They also work with organisations to design ways to evaluate the success of the approaches, and the impact of the placements for volunteers and beneficiaries.